I thought giant Majora's Mask illustrations were good. And, hey, they are. 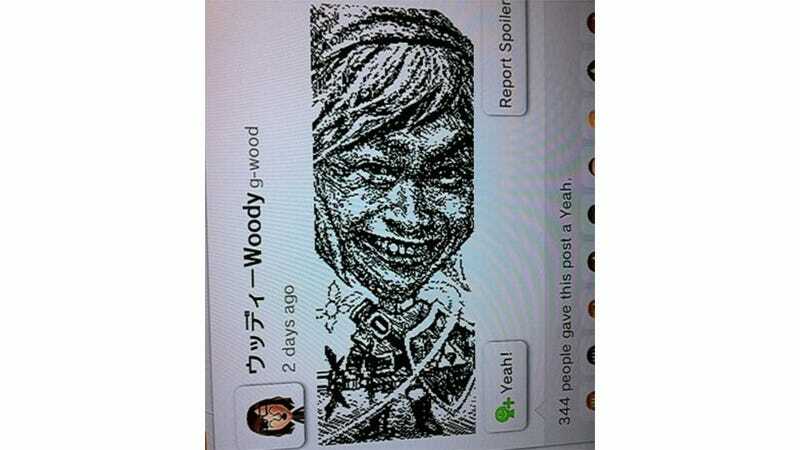 But enormous portraits of Shigeru Miyamoto in Link cosplay are even better.